Criminal Defense Attorney in Albany | Thomas V. Duck III, P.C. No matter your criminal issue, we are "hear" for you. Your case is our number one priority. Being accused of a crime is incredibly serious and often a very overwhelming experience for the accused. If you or a loved one are facing accusations of criminal activity, Thomas V. Duck III, P.C. can help. Our Albany criminal defense attorney, Thomas V. "Tommy" Duck, has over a decade of litigation experience, as well as a background in prosecution. He uses his in-depth knowledge of the criminal justice system to build strong defenses on behalf of his clients. No matter how complex or daunting your situation may seem, we can help you clearly understand your options and fight to protect your rights. Whether you have been arrested for DUI, accused of domestic violence, or charged with drug possession, we can help you work to defend your future and your freedom. At Thomas V. Duck III, P.C., we understand what’s at stake. We are here to listen and fight for you. Contact us online or by phone at (229) 999-4147 to schedule a completely confidential case evaluation with Tommy Duck today. Contact Thomas V. Duck III, P.C. Tommy Duck is dedicated to fighting for the rights of his clients. He focuses most of his practice on criminal defense and is a skilled litigator with years of courtroom experience. His background as a former police officer and former prosecutor allows him a unique understanding of both sides of the law. He uses this knowledge to his clients’ advantage, anticipating the prosecution’s next move and working to always remain a step ahead. As your Albany criminal defense lawyer, Tommy is committed to providing you with compassionate, individualized legal services tailored to your unique goals. He offers personal advocacy and honest, straightforward legal counsel from start to finish. 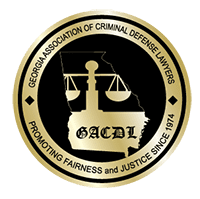 If you need a criminal lawyer in Georgia, contact Thomas V. Duck III, P.C. today.